Route 9, NY (October 13, 2018) – Police say that a woman wielding a knife was arrested following a road rage incident that led to injuries in two people. The incident led to a chase and accident on Thursday, October 11. Police received the initial call regarding the incident around 11:30 a.m. that morning when a woman reported that an aggressive driver was harassing her family on Route 9. The 22-year-old who called in was with her parents on the highway when a Ford Focus started driving erratically and brake checking their vehicle. The 51-year-old woman in the vehicle started waving around her 8-inch tactical knife and yelling at the family. When they would try to drive past, she would block them in. Later, the same driver collided with a Rav 4 when she had been ignoring the red traffic light at an intersection with Georgia Tavern Road. The driver then tried to flee the scene on foot but police were able to catch her and take her into custody. The driver of the Rav 4 and another party were taken to the hospital for treatment. Since then, the woman received a variety of charges. There are many reasons for a variety of different accidents that happen on our roadways. One of the most serious types of accidents stems from drivers who are not paying attention to the roadways or acting in an aggressive manner such in the cases of road rage accidents. 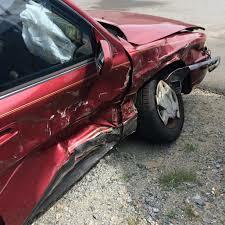 If somebody was acting aggressively or recklessly on the roads and it leads to your accident, you have many rights against a party who caused you harm. We wish to extend our thoughts and prayers to all of those who have been injured in this accident due to the outright negligence of another party. When it comes to your case, you want to ensure that you are retaining your rights with the help of an experienced New York accident attorney so that you can receive damages for aspects like lost wages, medical bills, and more in your case. At Hach & Rose, we wish to protect your rights and are fully committed to fighting on your behalf during this difficult time so that you can receive the compensation you are entitled to. Call us today for more information on how we can help you move forward at this time at 212-779-0057.